Contact centers and call center offices are distributed across the globe, putting them at increased risk of failing to meet compliance standards. Each country, state, town, or county may have its own standards that apply to the operations of the call center, regardless of where the business headquarters are located. PCI-DSS. HIPAA. GDPR. FSA. FERPA. Dodd-Frank. MIFID II. SEC 17a-4. SOX. With so many overlapping regulations, it can be difficult to manage compliance. One of the biggest risks – especially with the news of new data breaches and leaks every day – is with the personal data shared during phone call recordings. The NICE Uptivity Workforce Optimization (WFO) platform, which offers a series of powerful tools for managing contact center compliance, seeks to mitigate this risk. Pause recordings using Uptivity to protect your customer’s personal data and provide an omnichannel customer experience. 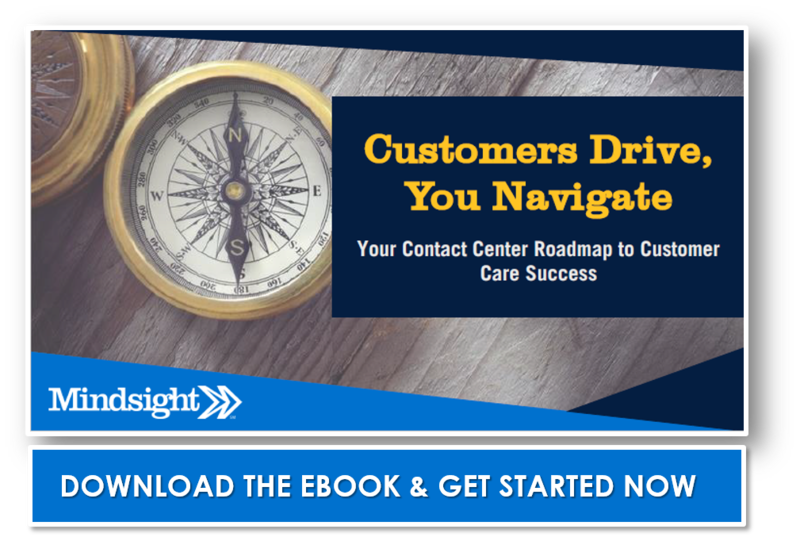 If you’re considering a contact center transition, be sure to check out our contact center roadmap. Recording customer interactions is an essential business practice for quality management in the contact center. Recorded calls and video or screen captures ensure consistency, care, and accountability, all of which is fundamental to providing superior customer success. When analyzing operational procedures, engineers will listen to recorded calls in an effort to develop strategies that support contact center agents. Supervisors use recorded interactions to assess strategy, success criteria, and support agents. Directors use recorded interactions to direct business and operations, building new relationships to support the business in years to come. Yet recording customer interactions is not without risk. Every time a customer or agent shares sensitive information – such as personal health information (PHI), personal credit information (PCI), or personal identifiable information (PII) – that information is then saved in a format that can possibly be breached by hackers or human error. So how can businesses ensure they retain the value of call recordings without putting the trust of their customers and clients at risk? As the customer interaction experience has evolved, so have NICE Uptivity’s tools, which help you engage, capture, and protect valuable customer communications by voice and on-screen. “Pause and resume” and “start/stop” manual recording measures have been met with criticism for failing to be fully compliant. NICE Uptivity WFO meets Payment Card Industry (PCI) Data Security Standard (DSS), HIPPA, and MiFID compliance standards. This makes the NICE Uptivity tool useful for contact centers in finance, retail, and healthcare. When you pause recordings using Uptivity, you avoid the manual paused recording concerns. Instead of looking at compliance as a hassle, you can put in place solutions that optimize the collection of customer data. This ensures you can provide quality assurance, efficient service, and a customer experience worth writing home about. Instead of putting the responsibility of compliance in the hands of agents, NICE Uptivity offers controls that protect customer data from the network side. NICE Uptivity’s API provides blackouts to prevent the capture of sensitive information, while also offering analytics, monitoring, and triggers. Password-protected encryption is offered at the 256-BIT AES file-level. NICE Uptivity is customizable to your individual company security policies, so encryption keys can be cycled regularly at intervals meeting your needs. The build-in password protections enforce character length, complexity requirements, password resets, and reauthentications. Plus, NICE Uptivity, via LDAP, AD, and SAML 2.0, integrates with your own corporate identity systems. Effective encryption only works with effective access, which NICE Uptivity enables through granular security controls and customizable permissions. Whether it’s client-to-server (recording), server-to-server (recording), or browser-to-server (playback) communications, Uptivity supports the use of encrypted Transport Layer Security (TLS). Uptivity Evolves To Meet Compliance – Do You? According to Uptivity, they expect to release new advances in their system to meet the evolving omnichannel solutions businesses need. Recording triggers for chat sessions, customer IDs, and conversion web page tracking are expected in the near future. Right now, the ability to pause recordings using Uptivity takes contact center recording solutions to the next step. Finding a contact center solution that puts the data you collect to use while also providing your customers the comfort of certified compliance is no easy task. Make trust and transparency a part of your business model by contacting the leaders in Technology – Transparency – Trust. Mindsight. Like what you read? Be sure to subscribe. Is your contact center compliant with your industry and regional regulations? Contact us today to ensure your contact center system streamlines the customer experience while maintaining quality and compliance standards.